Some of the most common download-related questions people ask at our help desk are probably those that have to do with filenames that have dates on them. I encountered another one yesterday, so I thought it would be a good idea to write a blog post about the subject and build on it as I encounter different solutions along the way. Who knows? Some of you folks out there might find it useful. Better yet, you might be able to contribute your own expressions so that we can all benefit from them. Sounds like a plan? Let's get this ball rolling. 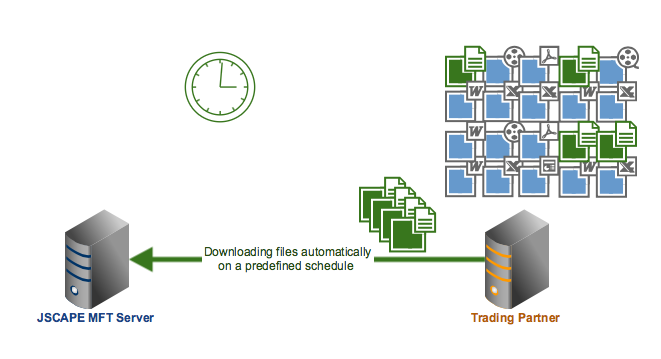 Last time, we published a short tutorial on Setting Up A Trading Partner For Automated FTP file transfers. That post was meant to serve as a jump off point for future articles that would demonstrate different automated file transfer processes involving trading partners. Today, we'll make use of what we learned in that post to show you how easy it is to set up a scheduled automatic download if we already have a Trading Partner ready to be called into play. 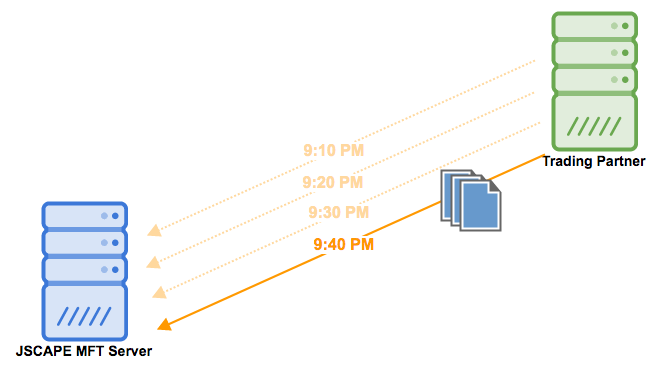 Once you're done reading this post, I encourage you to drop by the article Scheduling an Automated File Transfer for Files Matching A Regex and scroll down to the part where you specify the trigger action parameters. You'll see how this process is better when you're downloading from a trading partner. 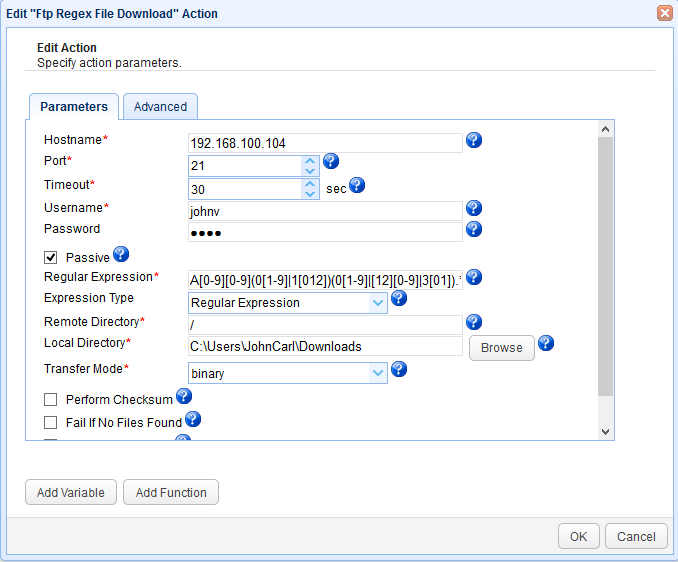 There are a number of areas in JSCAPE MFT Server where regular expressions can be employed. 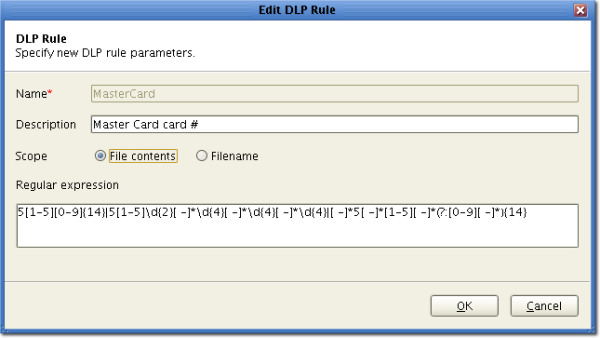 The regular expressions in the DLP (Data Loss Prevention) module, for instance, play a crucial role in finding sensitive credit card numbers among data stored in your managed file transfer server. This will allow you to automate the tedious task of finding and protecting (e.g. by encryption) these sensitive data and help you comply with PCI DSS requirements. 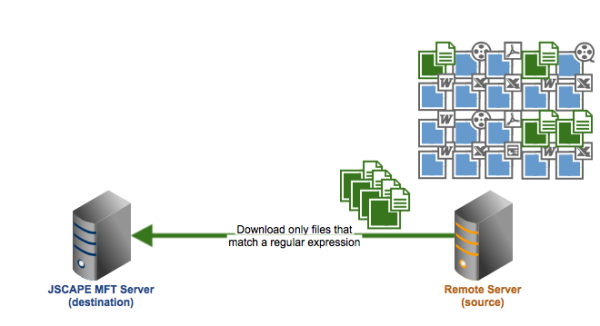 Let's now continue dissecting the regular expression: ". *\.doc"
One of the most powerful feature in JSCAPE MFT Server is Triggers. If you've been using triggers, then you probably already realize how handy they are in automating business processes that involve secure file transfers. 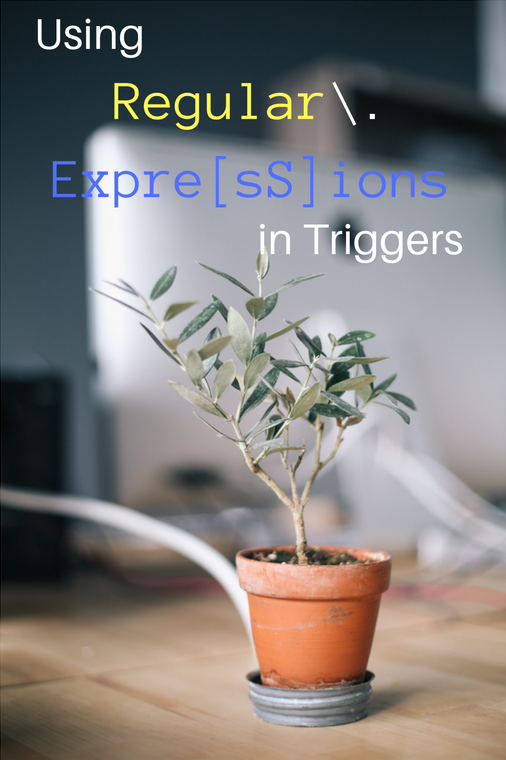 However, if you've never employed regular expressions on your triggers, then you're just scratching the surface of this highly versatile feature.